Many brands, Artists & public figures might be wondering these days How to Trend on Twitter or might be looking for someone who provides Twitter Trending Services. Trending topics are those topics being discussed more than others. As Twitter explains trending topics, “Twitter Trends are automatically generated by an algorithm that attempts to identify topics that are being talked about more right now than they were previously. The Pioneers in creating Viral Marketing campaigns Since 2009. Looking for viral marketing services ? We can help you out with our exclusive Twitter Marketing Services by making your campaign trending on Twitter. Trending helps viewers see what’s trending on Twitter. The Trends list captures the hottest emerging topics, not just what’s most popular. Trending topics on Twitter capture the moments consumers care about most. We here at Digitrock helps you to add your brand in the Twitters Trending list by making your brand viral on Twitter by our Unique Twitter Trending Services in India. The Trends list captures the hottest emerging topics, not just what’s most popular. Trending topics on Twitter capture the moments consumers care about most. Trends appear in a module on the left side of the homepage, and you can change locations to see what’s trending in different countries around the world and we here at Digitrock helps you to add your brand in the Twitters Trending list by making your brand viral on Twitter by our Unique Twitter Trending Services in India. Means your hashtag or brand will bigger because most talked on Twitter. And this is not yet enough because your followers will increased significantly, and they will be your potential buyer to send never ending sales. We help Brands by making their campaign viral on Twitter and adding them in the list of most trending topics on Twitter which is seen by Millions of Twitter users everyday. Our Twitter Trending Services are so Unique and not everyone can offer this service. We guarantee your hashtag will listed as Trending Topics on Twitter’s home page. 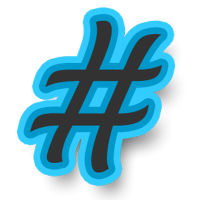 Just contact us with your hashtag or brand atleast 2 days before time to get listed in Trending Topics on Twitter and we will do the rest. Imagine if most twitter users will read or check or tweet about your name or brand worldwide? You will be famous, and will blast your sales or brand instantly. But how to reach this crowd? Is this possible? Yes It Is ! if your brand listed in Trending Topics on Twitter. Let’s make your campaign viral on Twitter ! Have Questions regarding Twitter Trending Marketing Campaign ? We are building bridges in digital marketing in order to grow your brand digitally.